Hangar Bicocca is a former air plane factory, completely black inside, with a permament exhibition of seven towers I sette palazzi celesti by Anselm Kiefer. 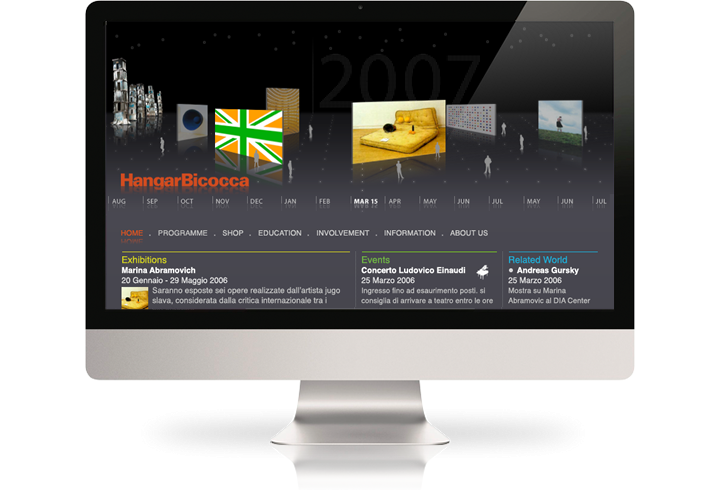 It does not have a permanent collection - its role and history is defined by a series of exhibitions and events. 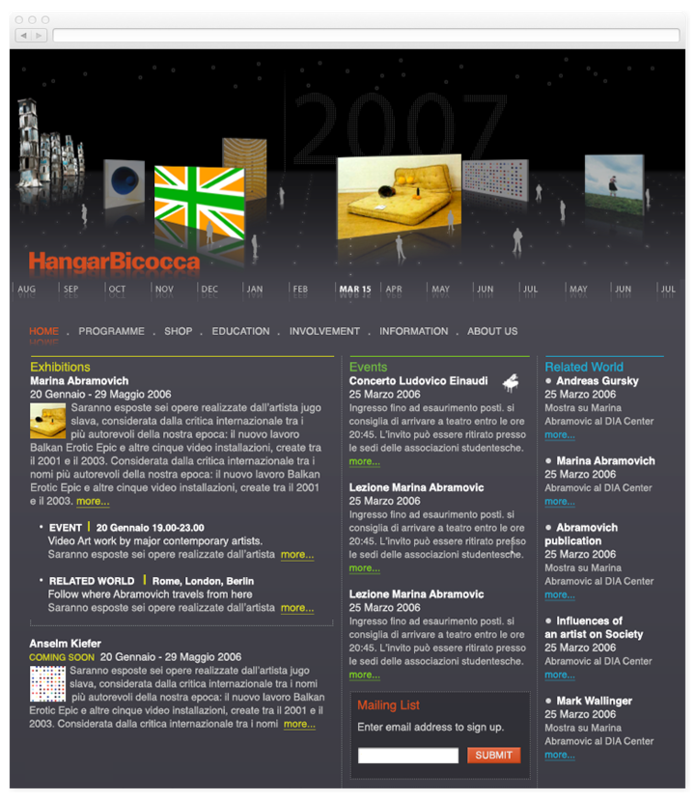 The website was conceived as an extension to the physical space, sharing its dark interior, with a timeline at the top which represented the passing of time, dotted with exhibitions and events. 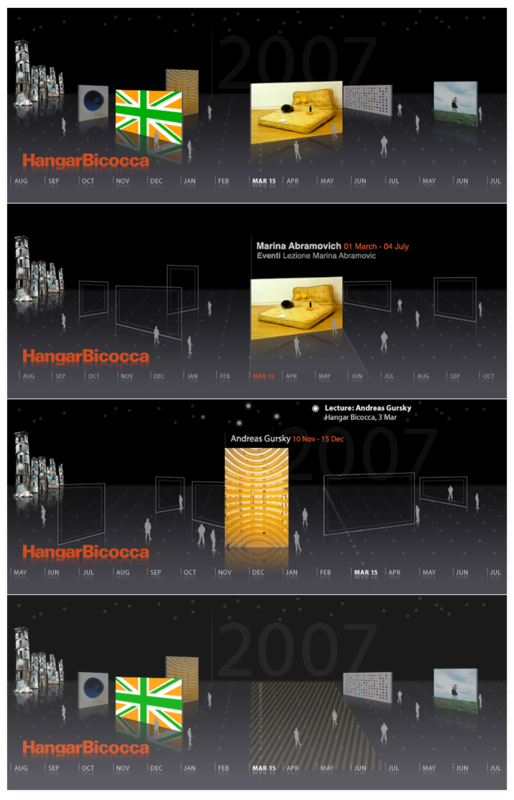 The timeline offered quick access to everything happening in the space: exhibitions, events, lectures etc. At the same time, a more conventional navigation offered a different navigation metaphor, letting visitors choose which one they preferred.